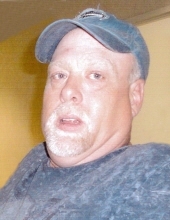 Terry Allen Decker, age 51, of Hickory	passed away on Wednesday, February 6, 2019 at Carolinas Medical Center in Charlotte. Born February 9, 1967 in Burke County, he was the son of Ronnie and Mayola Clark Decker. Memorials may be made to: Burke County Humane Society/ Friends for Animals, 217 Kirksey Drive, Morganton, NC 28655. Burke Mortuary and Crematory in Newton is serving the Decker family. To send flowers or a remembrance gift to the family of Terry Allen Decker, please visit our Tribute Store. "Email Address" would like to share the life celebration of Terry Allen Decker. Click on the "link" to go to share a favorite memory or leave a condolence message for the family.